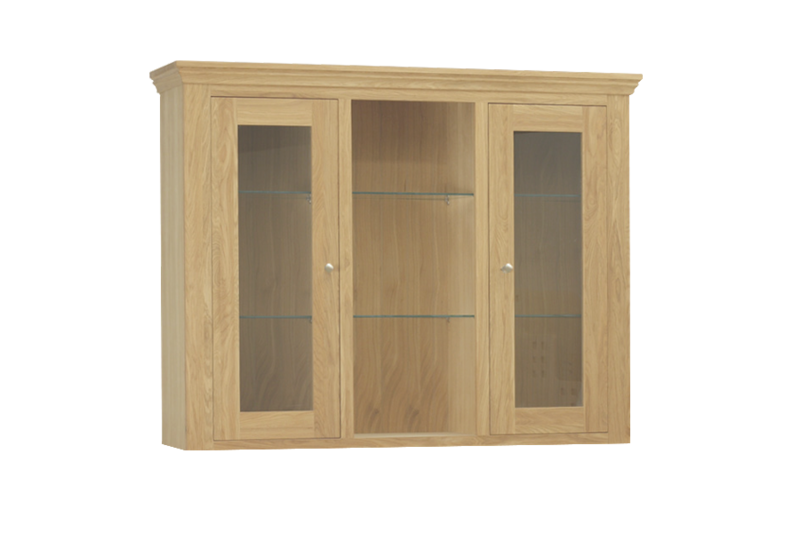 This dresser top cannot fail to be noticed with its beautiful oak colouring and smart glass cupboards it’s a piece to be proud of and bound to turn heads. For the ultimate in dresser tops this furniture piece has everything you could need for storage and style. . The cupboards at the top have glass panels so you can display your favourite pieces safely and the central shelving area is ideal to display photographs, plants, ornaments or used to neatly place books and other essentials. The piece is crafted from the finest quality solid natural European oak and is very solid so will last for many years to come. Match the dresser with the dresser base from the Cobham Oak collection and complete your room to perfection.